Ultros: the best purple octopus I know. For my F entry in the A to Z Challenge, I’ve decided to tackle one of my favorite games of all time: Final Fantasy VI. Woo hoo! There are tons of lists that feature the best characters of Final Fantasy, coolest smouldering badass, best hairstyle, craziest sword, etc. However, I’m going to be weirdly specific. Final Fantasy VI (or Final Fantasy III as it was featured on the Super Nintendo) just had its 20th Anniversary not long ago, which is pretty insane for me. It was one of the games that highlighted my childhood and later became ingrained to be my top Final Fantasy in a series I’ve long loved and revered. While some entries I feel didn’t work as well for me, I’ve always looked forward to the next entry in the series. (I did one of my first blog posts on this blog about my thoughts about Final Fantasy XV’s trailers. Check it out here: Final Fantasy XV Thoughts and Impressions. So why Final Fantasy VI? Well, it’s the aforementioned 20th Anniversary, and it’s awesome, that’s why. The main cast is memorable from top to bottom (Locke, Celes, Terra, Cyan, Sabin, Edgar, etc. ), but the minor characters in the game are just as memorable with only minor spotlight put on them. I’d like to discuss why I like each of these minor characters and why some of their moments stand out in my mind. 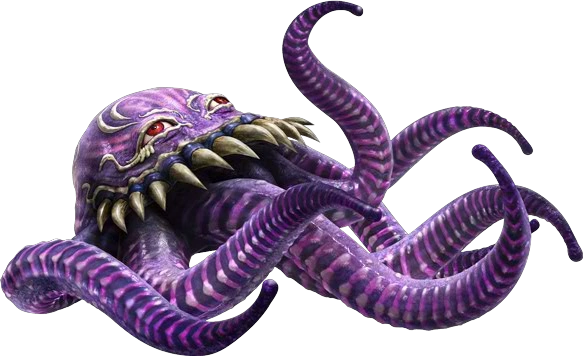 The blue octopus was “randomly” appears throughout the game is one of the most likable villains in all of Final Fantasy. Mostly because he’s annoying, overconfident, and has the backup of his more terrifying partner, Mr. Chupon. His appearance at the Opera House is one of my favorites, just because Ultros appearing on stage is equal parts hilarious and bizarre. One of the greatest swordsmen to ever live (really?) Siegfried is encountered first on the Phantom Train. Something about the brief encounters with him always stood out. He would swipe treasure, and was decidedly not the greatest swordsman who ever lived. You find out later that maybe a much crappier version has been impersonating him (Ziegfried) and you get to fight him in a tough match at the Dragon’s Neck Coliseum. And he looks cool! Their names may vary depending on the version, but these two characters are memorable for seeing the how main character Terra was born of a human and an esper. These scenes are somewhat playable, and memorable for that purpose alone. However, seeing the emotion separation of the two with their daughter was one of the best moments in the game for me. Shadow’s doberman pincher is both cute and cool at the same time! Who wouldn’t want to have him on your side?